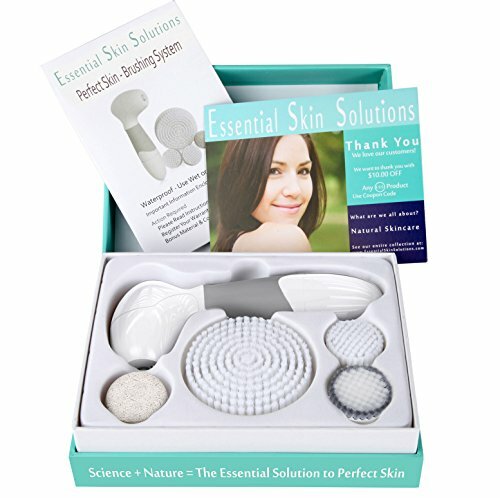 ✔ SAFE AND EFFECTIVE - Want to get rid of those pesky marks and scars? Works great for before and after pregnancy and as scars removal cream for weight loss or gain, muscle build up, acne scar or injury. Paraben Free! Great for women and men. 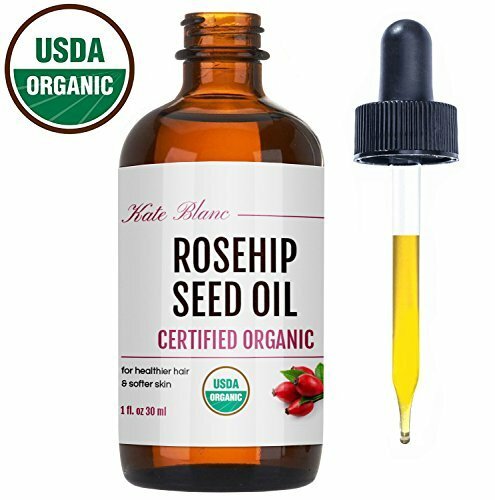 ✔ PENETRATING, MOISTURIZING, NOURISHING - Our proprietary blend of clinically tested and proven ingredients forms a luxurious, rich, non-greasy lotion that works great as a wrinkle treatment for fine lines and as a blemish remover that helps with the skin's elastin to promote healing from deep within. ✔ HIGHEST QUALITY INGREDIENTS - From Organic Aloe to the peptides used for repair work with all the natural ingredients to soften and smooth the skin. 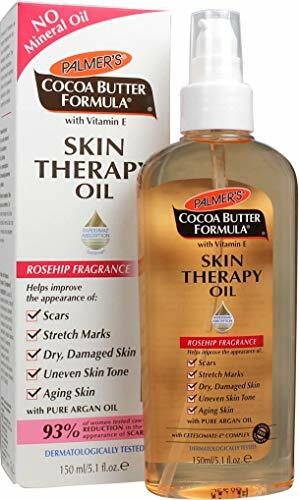 ✔ THIS IS A DIFFERENT STRETCH MARK AND SCAR REMOVAL CREAM - It does not use cocoa butter to just soften up scars. It has no cocoa butter at all in it. It uses ALOE VERA! More effective at hydrating and penetrating for maximum healing to really diminish those tiger stripes and soften skin tone and texture. ✔ MADE IN THE USA - All of our products are proudly made here in the USA and never animal tested and come with a manufacturers guarantee. TREAT AND PREVENT: Fades the appearance of Stretch Marks and Scars. Reduces inflammation caused by stress on the skin. Helps prevent the occurrence of future Stretch Marks. HYDRATE AND NUORISH: Cosnaturals Anti Stretch Mark Cream is packed with natural and organic ingredients like Vitamin C, E, B, and Hyaluronic Acid. These nutrients ensure that you will see all of the benefits our cream can offer while also providing deep hydration and moisture to your skin. PERFECT FOR EVERYONE: Stretch Marks are a scaring of the skin, resulting from sudden changes in growth such as pregnancy, puberty, rapid weight gain or muscle building. This cream is designed for use by both men and women who are looking for a solution after weight loss, body building or just a daily body butter. 【IMPROVES THE SKIN】 Intensely moisturizes the skin; Visibly improves the appearance of stretch marks, this stretch marks cream regenerates and moisturizes the skin. Prevents stretch marks in puberty due to sudden weight changes or loss of elasticity of the skin. 【Use】 Use daily after showering for best results. The massage cream for stretch marks is odorless and should not be used on broken skin. 【Safe Tip】 Patch test on the skin before first use. if skin irritation occurs, stop use. Keep out of the reach of children and pets. 【SERVICE】 We know how difficult it is to find products that are right for your skin, and have done a lot of research and testing to develop the formula that works for all skin types. But if you find that it is not right for you - let us know and we will give you a satisfied solution. BRIGHTENS SKIN, REMOVES SCARS - This scar removal cream is created to penetrate deeply into the skin and soften scar tissue. This helps naturally renew and lighten the darkened skin that is caused by acne scars, surgical scars, scalding, strTech marks, and more. Be prepared to finally say bye to those marks and hello to fresh skin. 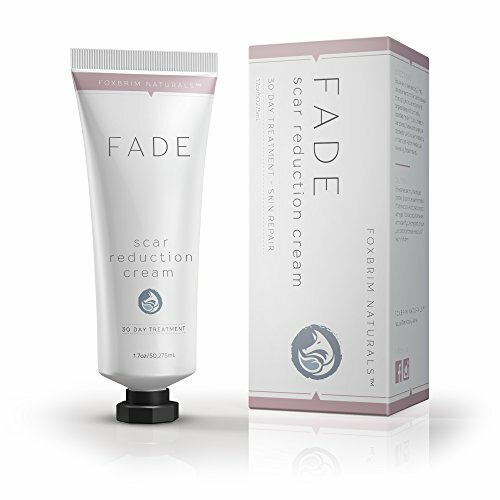 EFFECTIVE - You've tried many different scar removal creams not getting the results you wanted. Our formula has shown effective results. For different kinds of scars, do different kinds of treatments. For new scars, it is recommended to treat the area for 30-40 days. If it is an older scar, we recommend treatment of 50-60 days. 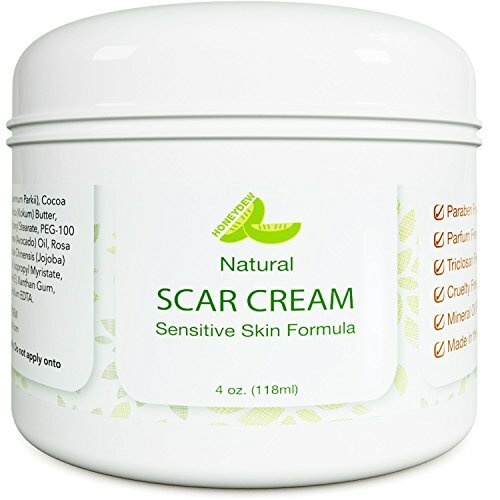 NATURAL INGREDIENTS - Ginseng, Glycerin, Centella Asiatica, Allantoin are all included in our scar removal cream to decrease irritation so you can confidently use the cream without any worries. The natural ingredients are key to boosting the healing and recovery of scars. With regular application, you'll be sure to see the results through these natural ingredients. WHOLE BODY USE - Though acne is known to be the most problemsome on the face, we know that there are scars and unwanted marks on other parts of the body. Through our formula, you can apply the removal creme to not just your face, but also to your back, neck, arms, legs, and stomach. RESTORE YOUR CONFIDENCE - No one likes to see those dark marks caused by acne, a surgery, or other causes. It makes you feel insecure. You worry so much about how to hide it. 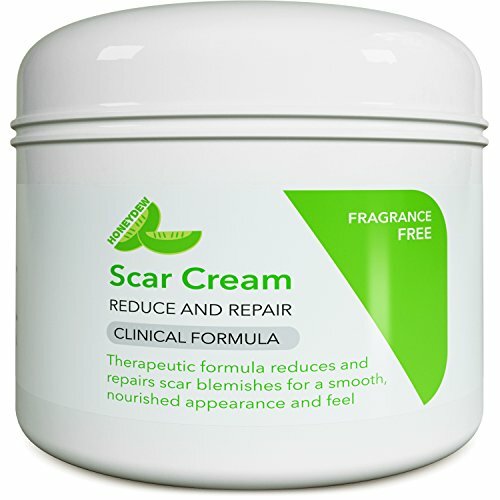 This scar removal cream will surely help you to restore your confidence again through lightening those old scars and even removing new scars. &#x1F9DF; THEATRICAL SFX MAKEUP: Create realistic looking bruises, gashes, scar, cuts, and body wound for stage play effects. Make monster, zombie skin, and 3D wrinkles a like. 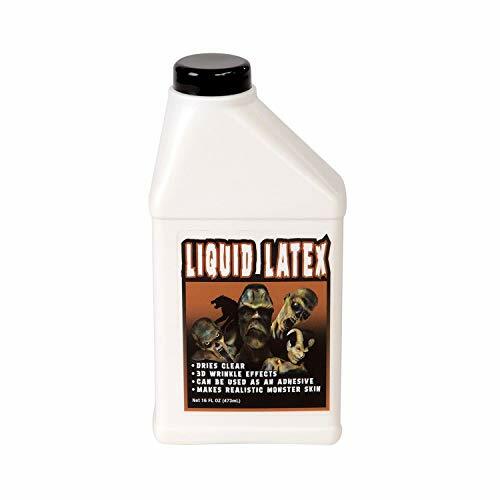 &#x1F9DF; GENERAL PURPOSE ADHESIVE: Non toxic adhesive that dries clear. Ammonia free for healthy usage, easy peel and can be use to make any type of skin effects. &#x1F9DF; TICKLE YOUR CREATIVITY: Use cotton or tissue paper to create that skin effects. It can be painted after it dries off for a realistic touch of horror makeup. &#x1F9DF; NO HARM TO SKIN: They are comfortable and safe to use on any type of skin. Gentle and no harmful effects, perfectly create that scars and open sores effects into your skin. 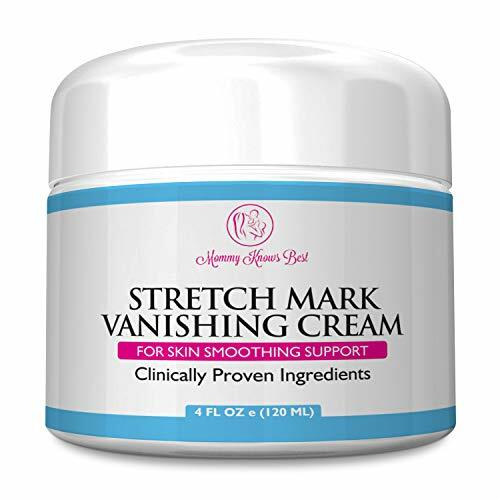 This stretch marks cream developed designed for the stretch marks of Mommy before and after the birth, reduce stretch marks and obesity lines caused by pregnancy. This scars defense cream contains mango essence and a variety of plant nutrition repair ingredients, which is easy to absorb by the skin. The anti scar belly butter promotes cell regeneration and enhance the elasticity of the skin. This stretch marks cream make the skin looks softer and fairer. Scope of Use: any skin type of pregnant women. Packing list: 40g/1.4oz * stretch marks cream. Three boxes of a course of treatment. Packing list: 1 * stretch marks cream ( 40g ). 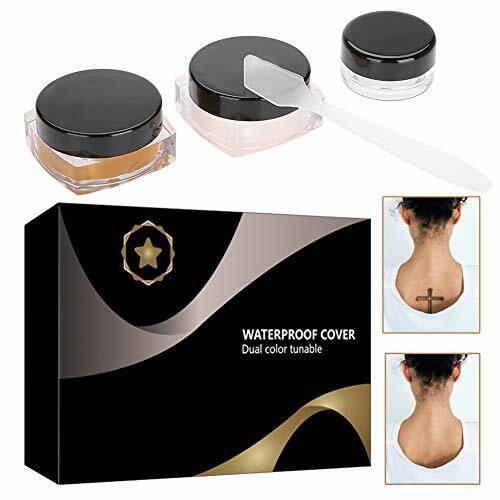 Three boxes of a course of treatment.This scars defense cream contains mango essence and a variety of plant nutrition repair ingredients, which is easy to absorb by the skin. Developed designed for the stretch marks of Mommy before and after the birth, reduce stretch marks and obesity lines caused by pregnancy. Scope of Use: Suitable for any skin type. 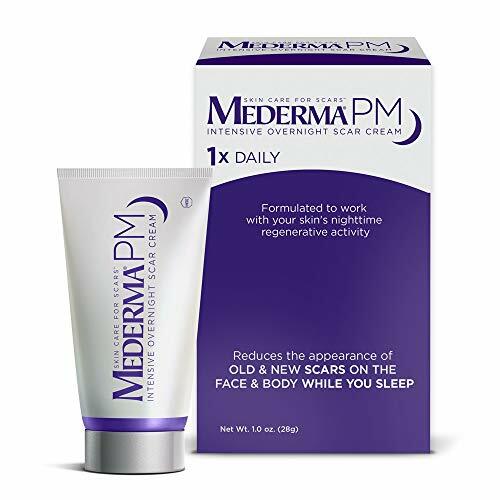 Effectively Remove Acne Scars - PuriDerma acne scar removal cream is a powerful topical treatment that reduces the appearance of scars, old and new. All Natural Ingredients - You will not find any harmful chemicals in PuriDerma's acne scar removal cream. Its' safe and gentle formula is very effective in improving the overall appearance, texture, and color of scars. Brighten Complexion - Our advanced formula is packed with herbal extracts and naturally softens, soothes, and heals skin. It also improves skin elasticity for firmer and smoother skin. RISK-FREE & MONEY BACK GUARANTEE - At PuriDerma, we stand behind everything we sell. If you are not satisfied, we offer a 100% money back guarantee. Give our acne scar removal cream a try! 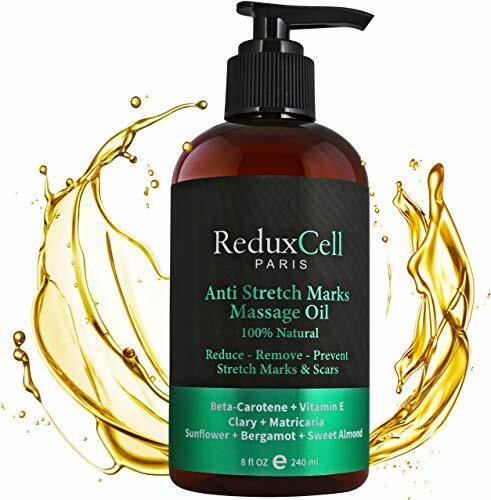 Reduxcell Anti Stretch Marks Massage Oil 8 OZ-Penetrates Skin 6X Deeper Than Stretch Mark Cream- Produce Noticeable Improvement in 4 Weeks-100% Natural and Organic Extracts. PROVEN RESULTS- It reduces and prevents stretch marks and scars. Our massage oil delivers intense hydration and better results after 4 weeks of use.Best scar cream, best stretch mark removal cream. 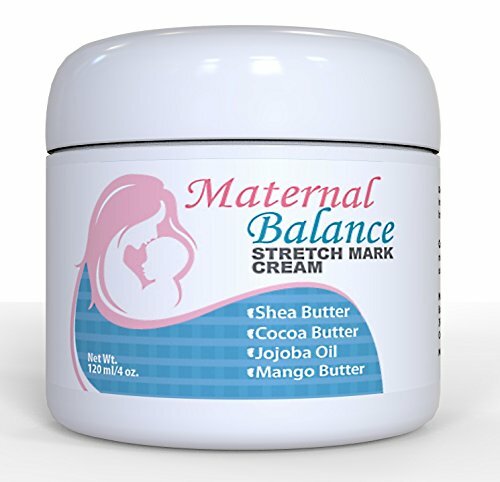 ANTI STRETCH MARK CREAM FOR PREGNANCY-Our Anti Stretch Mark Oil is designed to be perfectly safe for recent and expecting mom. 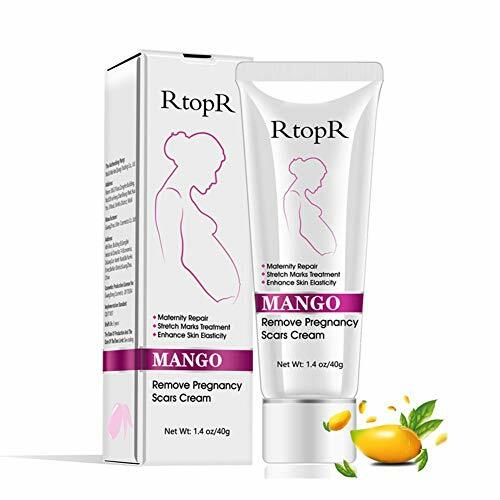 "belly butter for pregnancy, stretch mark removal"
STRETCH MARK REMOVER AND PREVENTION-It is great for those who have experienced dramatic changes in weight. Prevent stretch marks during pregnancy, the best treatment for stretch marks. 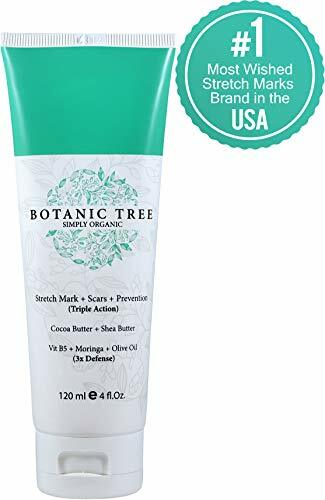 COCOA BUTTER STRETCH MARK-Our anti-stretch mark contains Beta-Carotene, and it is proved that develops 34% less stretch mark than who uses stretch mark oil. Fading cream,cocoa butter lotion. LOTION FOR STRETCH MARKS-Made in USA-Our products are cruelty-free-100% Organic Extracts-Satisfaction Guarantee- Works or your money back. "Oil stretch mark,cream for stretch marks,scar removal cream. 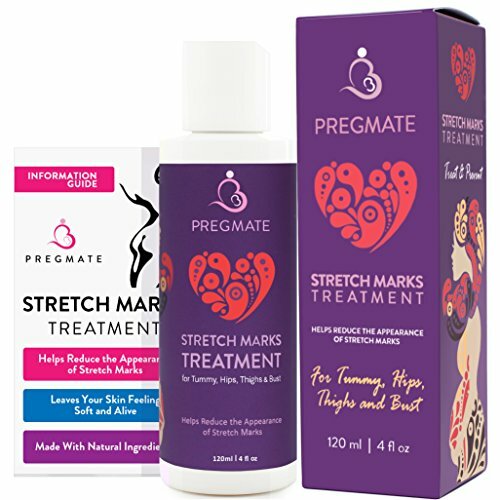 Better option than bio-oil, bio oil, bio oil stretch mark"
HYDRATE AND NUORISH: PREGMATE Anti Stretch Mark Cream is packed with natural and organic ingredients like Vitamin C, E, B, and Hyaluronic Acid. These nutrients ensure that you will see all of the benefits our cream can offer while also providing deep hydration and moisture to your skin. SCAR TISSUE can be treated with various natural butters, such as Kokum Cocoa and Tocopherol Vitamin E. We incorporate all of these, and more, into our recipe to ensure a complete reduction of noticeable dark marks. OUR MOISTURIZING LOTION is developed with a clinical formula for the highest level of nourishment possible. Our botanical ingredients have a therapeutic healing effect on the skin to ensure smooth soft radiant skin. NOURISHING SCAR TREATMENT WITH SPF is our goal. We have worked to incorporate the most benefits into one product that we could. Our formula includes Avocado and Jojoba oil to make sure that you have a moisturizer with SPF. ALL NATURAL INGREDIENTS, including Rosehip and Sweet Orange Oil, means your stretch mark removal cream is non greasy and fragrance free. This cream is developed with no added chemicals for a natural skin care product for women and men! Nutrient-rich essential oils, made with all natural ingredients, works to fight stretch marks and scars. Fosters healthy skin cell regeneration and restore skin's natural elasticity. This fast absorbing dry oil elixir is rooted in a powerful blend of nutrient rich botanical oils that support skin as it expands. 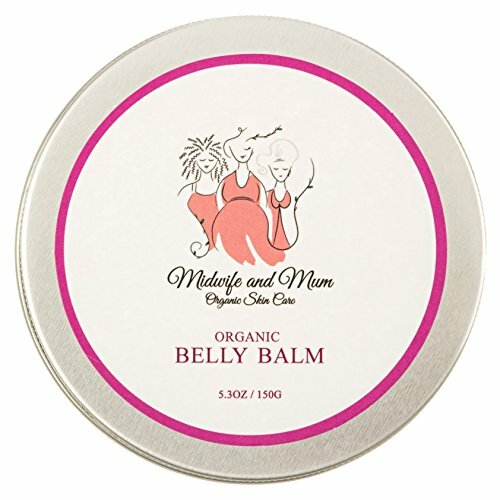 It helps calm inflammation, relieves itching, and reduces the appearance of stretch marks. Natural, delicate scent won't aggravate occasional morning sickness. Light and easily absorbable. Gentle, hypoallergenic and made without synthetic fragrances. Safe for use during pregnancy & postmortem. Natural, Vegan friendly ingredients. Cruelty-free and made in USA. 【REDUCTION AND PREVENTION】Our stretch mark cream helps to reduce and prevent the appearance of scars / stretch marks by firming and moisturizing your skin with a customized blend of high quality and natural ingredients. 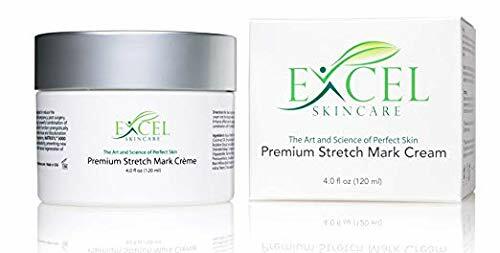 Our proprietary formula of the stretch mark cream has been proven to effectively promote skins elasticity, keep skin moisturized, break down unwanted fat tissues which work together to reduce the appearance of stretch marks. 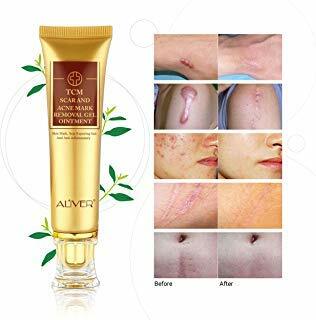 【ACNE SCAR TREATMENT CREAM 】Our acne scar removal cream contains Vitamins E, C, B3 + B5 for plump skin, nourishes dry skin to achieve the expected result of healthy skin with a smooth complexion. 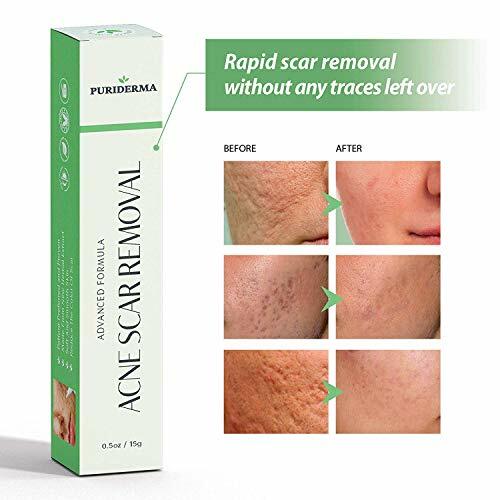 The recipe of the scar removal cream encourages skin cells to be regenerate and rejuvenated, eliminating the appearance of scars and deep lines. 【SKIN STRENGTHENING LOTION】Our stretch mark removal cream nourishes and tightens skin cells and pores. This lotion with Vitamin E could provide protection to help smooth rough skin or marks, and helps improve the appearance of uneven skin tone, dry and aging skin. The anti cellulite cream spreads quickly and easily on the body, absorbing in seconds! 【HYPOALLERGENIC FORMULA FOR ALL SKIN】The stretch mark cream was composed of natural and organic plant extracts with no added fragrances or harsh chemicals so it's safe for sensitive and pregnant women. Our soothing ingredients are all of high quality, botanical products specifically chosen for their benefits to the skin. Non-greasy and won't clog your pores. 【100% CUSTOMER SATISFACTION GUARANTEE】Our natural Stretch marks remover is certified by FDA,GMP and GMPC so you can rest assured to use our products. We provide a 100% REFUND if you are not satisfied with no ask. 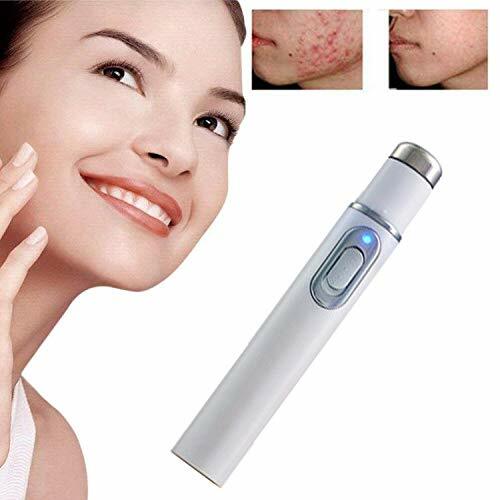 Use the advanced scar and acne mark removal and repairing technology.It is easy to penetrate the cortex, soften the scar tissue, promote the skin's natural renewal and healing, quickly heal the scars. 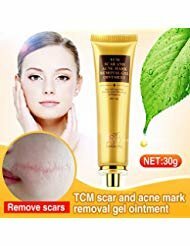 The acne scar cream also has the anti-inflammatory, bacteria elimination, beauty and skin nourishing, scar and acne mark removal, and makes the skin smooth, soft, beautiful and texture. Perfect for All including Sensitive, Oily, and Thin Skin. Kids and Adults. Scar Reduction Therapy. 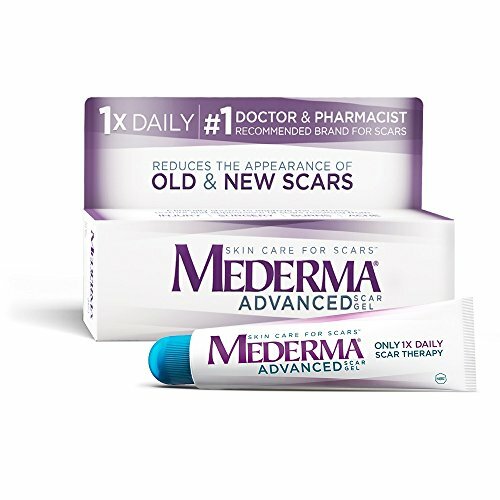 Erase Keloid Scars. 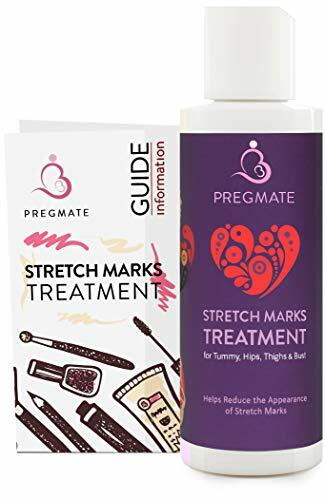 PREGMATE Stretch Marks Treatment Cream Natural Organic Ingredients Treat And Prevent Body Moisturizer With Peptides Vitamin C B E Hyaluronic Acid Best For Pregnancy 4 Oz. CSCS Advanced Scar Gel is a powerful skincare solution; our formula penetrates deep within pores and to start fading away old and new acne scars, keloids, new stretch marks, and even uneven skin tones. The sun's rays often dry out our skin, essentially backing in scar tissue and dark marks. CSCS Advanced Scar Gel treats scars as well as dry dehydrated skin. 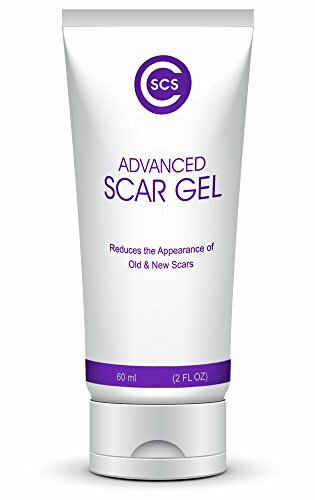 Fade acne scars and stretch marks with our Scar Gel today! our Scar Gel is packed with natural ingredients, such as Shea Butter, Vitamin E oil, and Hydrolyzed Collagen making it an effective scar treatment and scar removal cream. CSCS Advanced Scar Gel for face and body is used by women all over the world to help diminish stretch marks and acne scars. SATISFACTION GUARANTEE - We at CSCS work hard to create the best, most reliable products available, which is why every Advanced Scar Gel comes with a no questions asked 30-day guarantee for satisfaction. 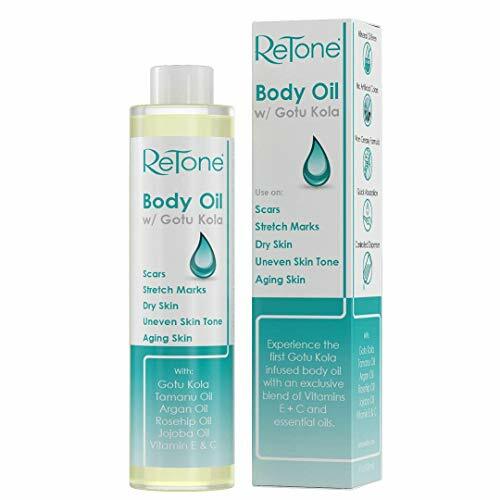 Reshape + Stretch Mark & Scar Cream with Retinol, Shea Butter, & Coconut Oil See smother skin with less visible stretch marks. Large 7oz Tube with Hands Free Massaging Applicator. Stretch marks and scars can be embarrassing and can occur for various reasons - pregnancy, weight changes, and aging. Reshape Stretch Mark Cream and Scar Cream diminishes the appearance of existing stretch marks but also prevent new ones from forming. 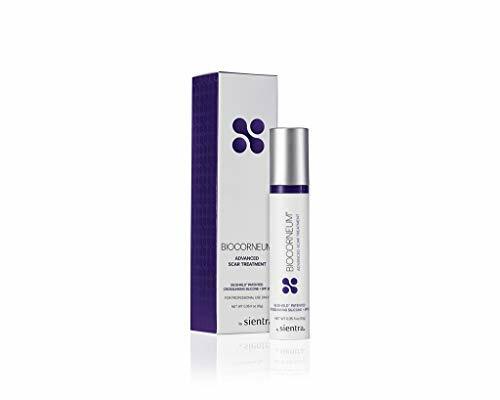 With the helping touch of Retinol, Licorice Root Extract and Coffee Bean, skin is left feeling smooth and supple. Improve your skins elasticity, which in turn helps to prevent new tears and marks from forming. Stretch mark cream with natural ingredients such as Shea Butter and Coconut Oil instantly revitalize your skins elasticity, tightening and firming loose skin. Replenish your skin with hydrating nutrients and Aloe Vera to restore hydration to cracked, stretched out skin. 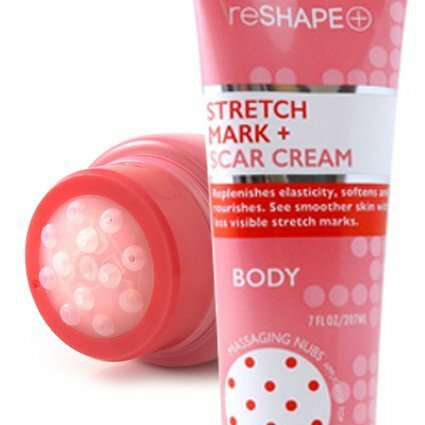 Its time to wish those marks away, take action and use Reshape Stretch Mark and Scar Cream for visible results. 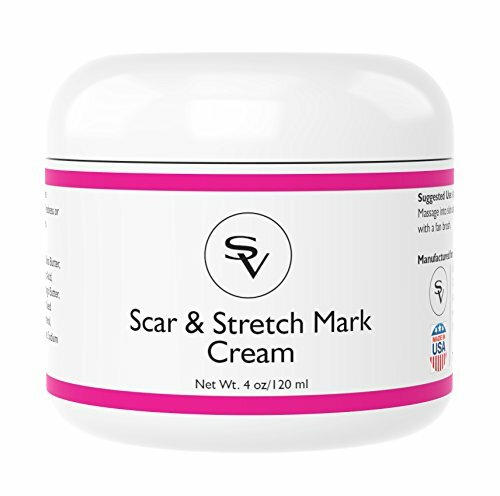 This stretch mark and scar cream comes with massaging applicator to help massage the cream into your skin and increase circulation. 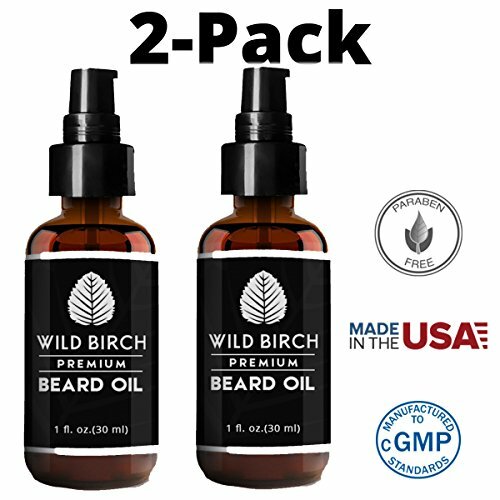 Large 7oz tube will last you months! SMOOTH, CLEAR STRETCH MARK FREE AND SCAR FREE SKIN NEVER FELT SO GOOD - Our amazing natural stretch mark removal and scar removal cream works deep down to get rid of the appearance of stretch marks & scars, giving you clear, smooth skin. 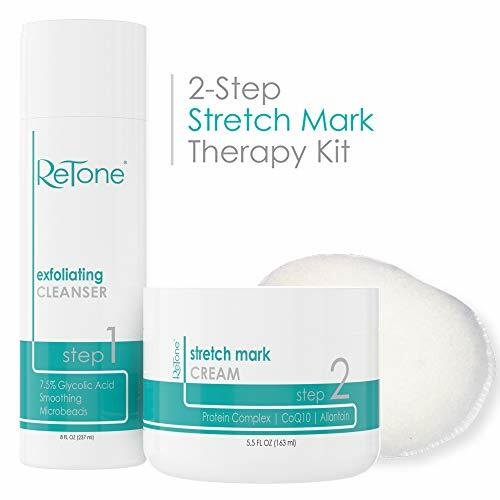 Now is your time to make the next look in the mirror a happy one with this stretch mark remover. SURPRISE YOUR LOVED ONES W/ A SMOOTHER, BLEMISH FREE LOOK - Senvie's powerful stretch mark cream and scar removal cream works on the cheeks, face, arms, abs, back, chest, feet, knees, legs and other external areas of the body & skin. It will work anywhere! Just make sure you only use this powerful stretch mark removal and scar removal cream on external areas of the body. EVERY JAR SOLD HELPS A CHILD IN NEED - We don't just sell an amazing stretch marks remover and scar remover cream, we want to make the world a better place too. A portion of the proceeds of every sale goes to the Save The Children Foundation. It's our way of doing what we can to give back and make the world better a place. 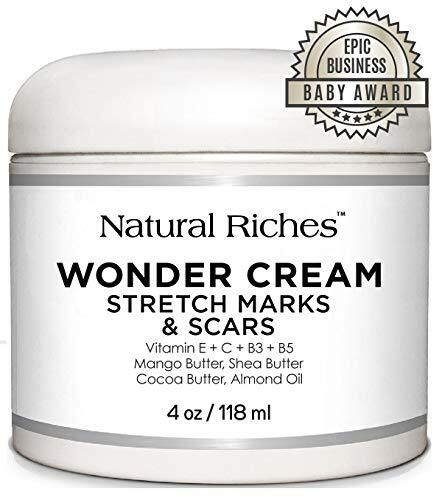 IT'S SAFE AND EASY TO USE - This potent natural anti-stretch marks and anti-scar cream is made in the USA in a FDA registered facility to ensure safety and potency. Simply apply twice a day to get rid of stretch marks, get rid of scars or blemishes and restore your confidence. Compare to the leading stretch mark treatment and acne scar treatment and scar treatment cream or gel. Best stretch mark cream and anti-stretch mark cream available! HEALS SKIN: If you are suffering from scrapes, scars, burns, skin rash, sunburn, dry skin, dandruff or cuts this soothing & cooling pure Aloe Vera gel is great for you. Aloe gel has the ability to quickly regenerate skin cells in the times that you need it the most. It brings you sunburn relief! SOFTENS SKIN: Aloe Vera is a plant with naturally moisturizing qualities that has been used for centuries to improve the skin's elasticity and overall texture so that it is soft & supple. Aloe vera juice has many health benefits. 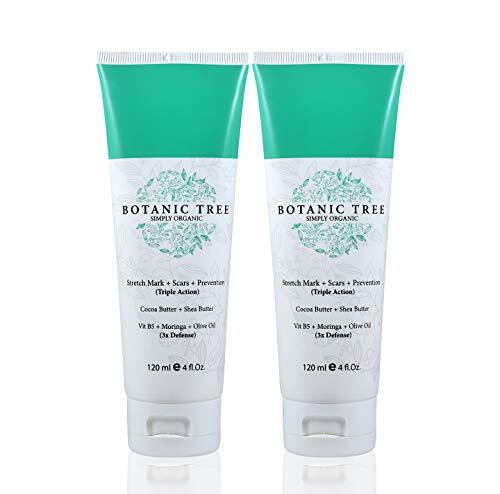 ANTI-INFLAMMATORY: If you suffer from eczema, psoriasis, poison ivy or other types of skin rashes you should know that this Aloe Vera gel body lotion for women and men can prevent irritation, redness, and itchiness. It can be used as dandruff shampoo or conditioner. 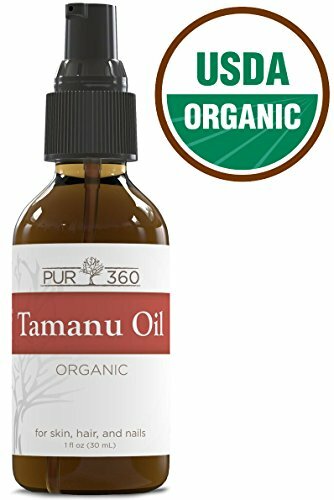 Perfect to use in psoriasis treatment, after bite treatment & razor bump treatment. 100% ALL NATURAL: Aloe Vera is a plant of the succulent variety that grows all over the world. Due to its amazing rich medicinal and cosmetic qualities, it has been used for centuries. Our aloe vera gel 100 percent pure can be used for baby care., without any fragrance. Aloe vera gel for face is great as a gel moisturizer and scar gel! 100% USA MADE: All Premium Nature's products are proudly 100% made and manufactured in the USA. Our best products are made of the highest quality, alcohol free and are 100% customer satisfaction guaranteed. ARTISAN FORMULA - Developed by a midwife and mom of 6 children, so we have an honest understanding of the effects of hormonal changes on stretching skin. Our proprietary formula gradually fades old stretch marks and helps prevent new ones from forming. Softens C Section scars before, during, and after pregnancy. Gentle massage helps reduce adhesions under developing scar tissue. GREAT FOR ALL SKIN TONES - Gradually evens out discolorations with organic carrot seed oil, and helps protect from broken skin layers with the healing power of litsea cubeba. No white or ashy residue. CRUELTY-FREE, VEGAN, 100% RECYCLABLE PACKAGING - All our products are free of synthetic fragrance, colorants, or animal products (no products made by bees, either). We never use synthetic preservatives in any of our products, and we never use petroleum products in our products or packaging. HELP SUPPORT GLOBAL HEALTHY PREGNANCY - 10% of net profits donated to non-profit organizations supporting healthy pregnancy and parenting worldwide. 100% MONEY-BACK GUARANTEE - Because we want you to be completely satisfied please contact us and we will offer you a refund at any time, for any reason. 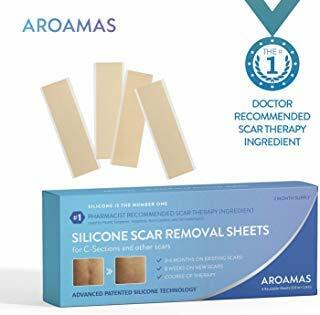 CLINICALLY PROVEN ANTI STRETCH MARK REMOVAL AND SCAR CREAM - Unlike scar treatments and strechmark remover products that claim to work, our formula has been clinically proven to help reduce the appearance and depth of stretch marks! 100% of participants saw a visible reduction in the appearance and strechmarks, age spots, scars, blotches, & skin discoloration. RETINOL FREE PREGNANCY STRETCH MARK CREAM - We reformulated our pregnancy cream to remove the retinol making it safe for your baby. It's no secret that retinol causes irritation and dryness to even the most tenacious of skins. This is why we formulated our body butter lotion with high quality essential oils and vitamins to revitalize the skin at the pore level. USE OUR ANTI STRETCH MARK CREAM FOR PREGNANCY daily for softer & smoother skin. We are rated one of the best cream for stretch marks because our stretch mark cream helps tone and tighten your skin and belly, while also safely fading existing scars, dark marks, and blemishes. 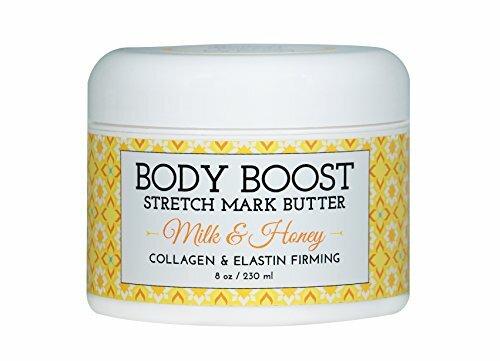 STRETCH MARK CREAMS REMOVER ACTS AS A NATURAL REVITALIZING MOISTURIZING CREAM - Our Formula harnesses the power of premium ingredients to sink deep into your skin, leaving you with a smooth and supple feeling thanks to the vitamin E, Jojoba, Coco, Shea, and Mango butter and other proven natural and organic ingredients. 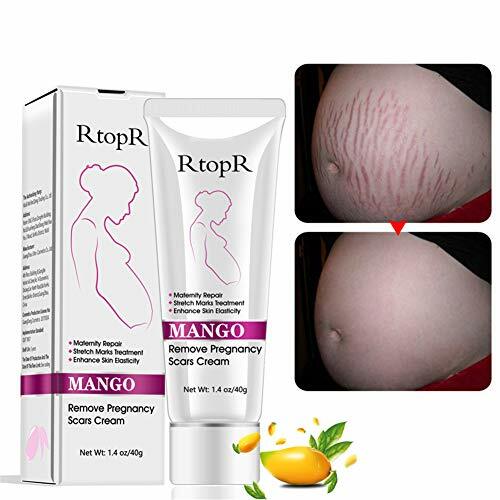 ADVANCED STRETCH MARK REMOVAL CREAM THAT IS SAFE FOR ALL SKIN TYPES - We offer the best pregnancy stretch mark cream that is safe for use during and after postpartum pregnancy, but also works on oily, dry or combination skin if you aren't pregnant. Consider it the one true Stretch Mark Cream and Scar Treatment! 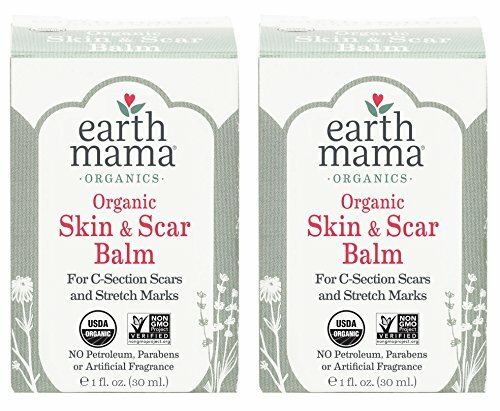 ERASE STRETCH MARKS WHILE SOOTHING & RESTORING SKIN - A combination of nature's most powerful all-natural ingredients work to heal and repair skin. Improves elasticity to protect from further damage and support stretch mark removal. 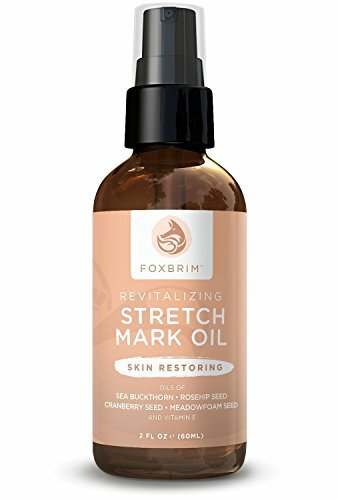 A PREMIUM ALL NATURAL STRETCH MARK OIL THAT WORKS - A comprehensive solution with skin renewing benefits for your body and face. Support the healing and repair response in skin. Stretch mark prevention lotion for pregnancy. Increase skin thickness. Refine appearance of stretch marks, scars, cellulite and even wrinkles & fine lines. Contains coconut butter oil for stretch marks. A SUPERIOR PROVEN ONE-OF-A-KIND VEGAN FORMULATION - LOOK NO FURTHER - Our Stretch Mark Remover brings you a unique exclusive blend of hand-picked proven Natural ingredients. Vegan formula with skin healing essential fatty acids and rejuvenating Vitamin E. Better than cream for body marks. PERFECT FOR ANY SKIN TYPE - The all-natural skin renewing solution you have been looking for - An effective, yet lightweight formula provides healing and nourishment - Safe for maternity use during and after pregnancy. As safe as the best stretch mark cream. BACKED BY OUR AMAZING QUALITY GUARANTEE - Each and every Foxbrim product is backed by our amazing guarantee. Your purchase today is risk-free. Try our Revitalizing Stretch Mark Oil today. If you're not completely satisfied let us know for a full refund. Simple as that. Why wait? Order now! 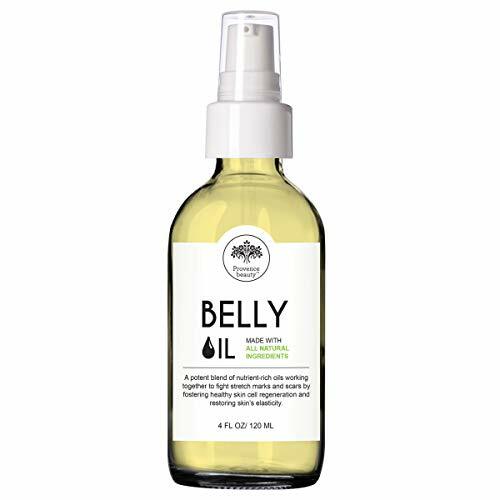 GENTLE, EFFECTIVE FORMULA to reduce the appearance of stretch marks and c-section scars. NATURAL INGREDIENTS like Shea Butter, Cocoa Butter, Mango Butter, Jojoba oil & Organic Olive Oil. GREAT FOR PREGNANCY & AFTER Skin Care. Penetrating and moisturizing tummy rub safe for daily use. MADE IN THE USA. 100% CRUELTY FREE. 100% money-back guarantee. STRETCH MARKS & SCAR REMOVAL - A customized combination of high-quality All Natural ingredients, delivers intense hydration. Reduces hypertrophic scars, keloids and stretch marks. Our powerful cream helps restore skin tone and texture for a more even appearance. POWERFUL & NOURISHING HYDRATION - Our full body cream contains Vitamins A + E + C + B3 + B5, Includes Coco Butter, Almond Oil and Shea Butter for extra hydration Sesame Seed Oil, Other extract that are safe and gentle for every skin type. VITAMIN C ANTIOXIDANTS fight free radicals that damage healthy cells and our DNA. 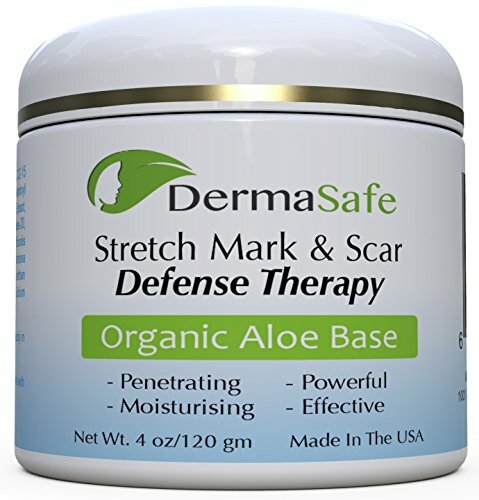 This Uniquely formulated Stretch Mark and Scar Cream could provide antioxidants requirements with regular application.. PERFECT AFTER THE SUN - Exposure to the sun can often dehydrate your skin and lead to dry, flaky and peeling skin. Unlike Aloe Vera gel, this mixture of effective ingredients makes this luscious cream a soothing product after time spent in the sun by replenishing hydration and nourishing parched skin. 100 % MONEY BACK Guarantee - We back our products up with a LIFETIME hassle-free money back guarantee. Just contact us and we'll refund your order. Improves skin complexion by reducing stretchmarks. Applying our stretch mark before, during, or after pregnancy will promote healthier, more elastic skin that's less prone to discoloration and stretch marks. Our Bye Bye Stretch Marks cream is produced in a GMP certified facility, attesting to our high standards and commitment to quality. We have a customer-first mentality that motivates us to exceed industry standards. 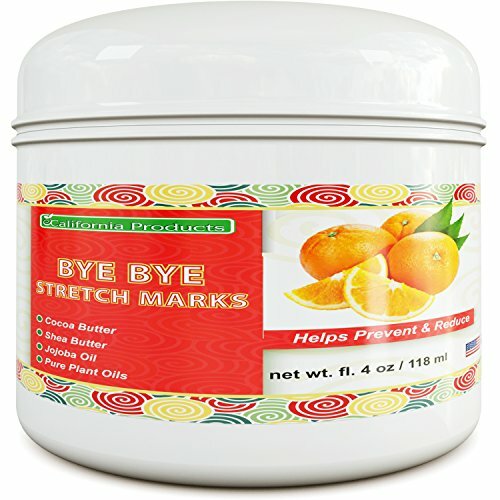 MONEY BACK GUARANTEE: Your purchase of Bye Bye Stretch Marks cream is guarantee by California Products 100% Money-Back Guarantee. If you are unsatisfied, you may return the item for a full refund.